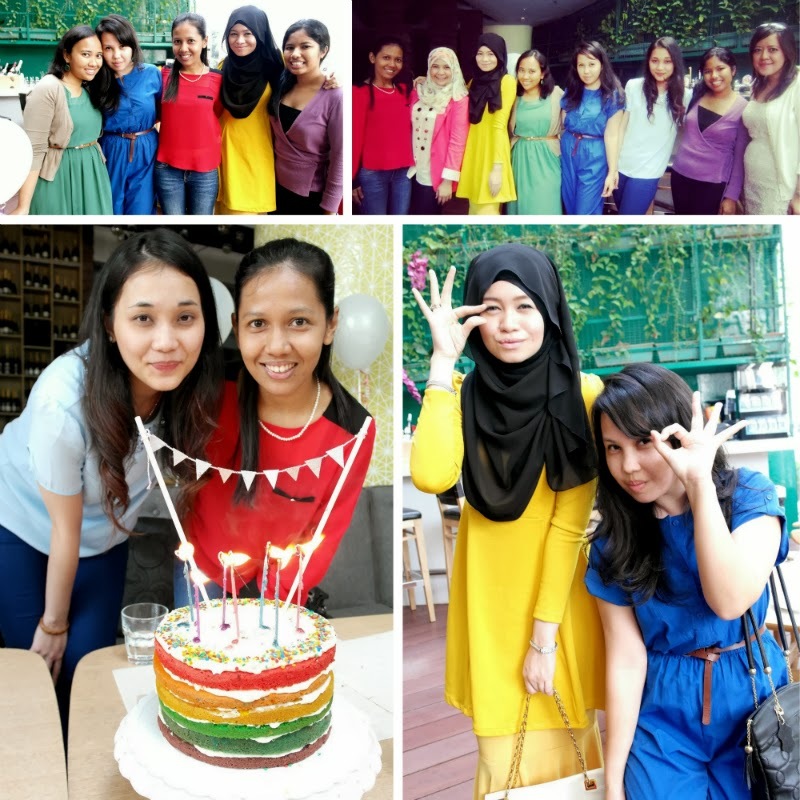 30th June 2013, 2 months after Niesa's Carcossa, we got together for a joint-birthday celebration for Amirah Ausi and Nuzul Iswani at Tujo. In attendance were Khairun Nisa, Fazlin Azrimi, Fadzilla Ismail, Norleen Nordin, Yasmin Bahrudin and Diana. 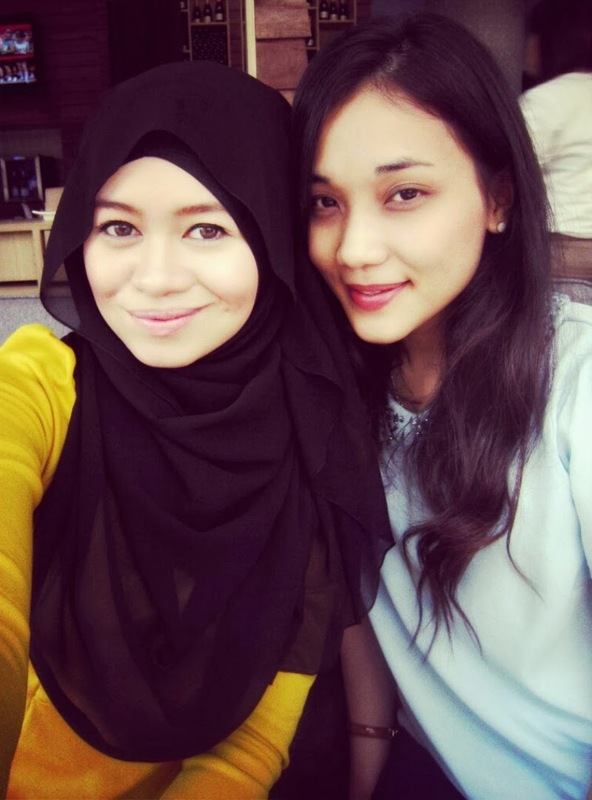 Niesa (as usual) organised the get-together or our mini reunions with my unimates / classmates. 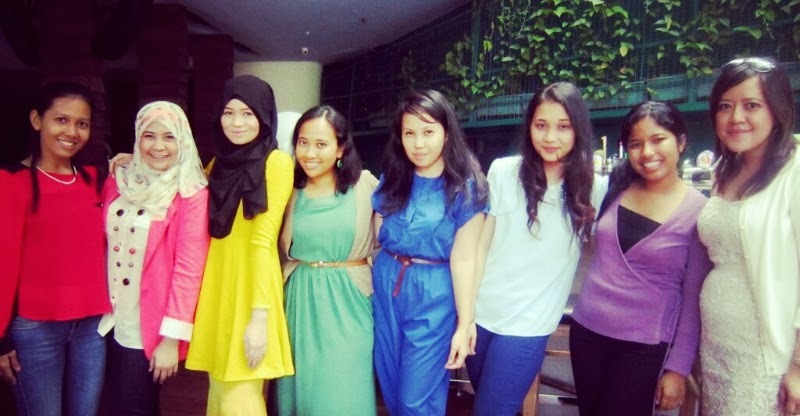 The theme chosen was colours of the rainbow. The girls quickly chose their colour and I was one of the last to choose. I chose yellow for a reason. 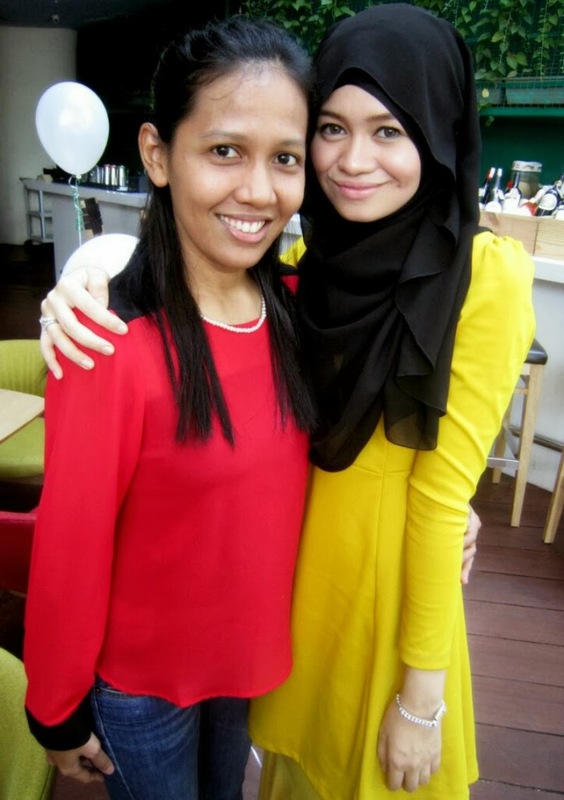 Maybe I'll share on my blog soon the reason of my sudden love for yellow this year. Nuzul was one of my closest friends in university. We got to know each other in our initial stages reading law but became closer only during second year of university. We attended classes together and always, always spent a lot of time in each other's rooms. We went through a lot of laughter and tears together back in the day and I'm blessed to have a shoulder to cry on all those years. Someone very frank, honest and speaks her mind but is always very concerned about the well-being of others and is a very kind soul. I remember she helped me and my family bring our sick cat to the pet hospital and she took a day off her work to take care of me in the hospital at the end of last year. These are just some of her many many kind gestures. That's Nuzul. As for Mira Ausi, my earliest memories of her was when she threw crumpled papers at me behind my back (or was it Muna or Niesa) during Arablic class? Haha. still figuring out who did it. This is what we call bullies turned into lovers! Hehe. Anyways, Mira is a sweet girly girl and someone who can always make me laugh with her jokes and girlyness. I think we lost contact for awhile but fate brought us back together when we bumped into each other during work hours and through get-togethers like these. The legal working world is not so big after all.